For customer service inquiries or to initiate a return, please contact Forza Sports at orders@forzasports.com or 877-773-6792. Blender Bottle Sleek 20 oz. Twist-On Cap Shaker Bottle with Loop Top - Lemons - 20 oz. 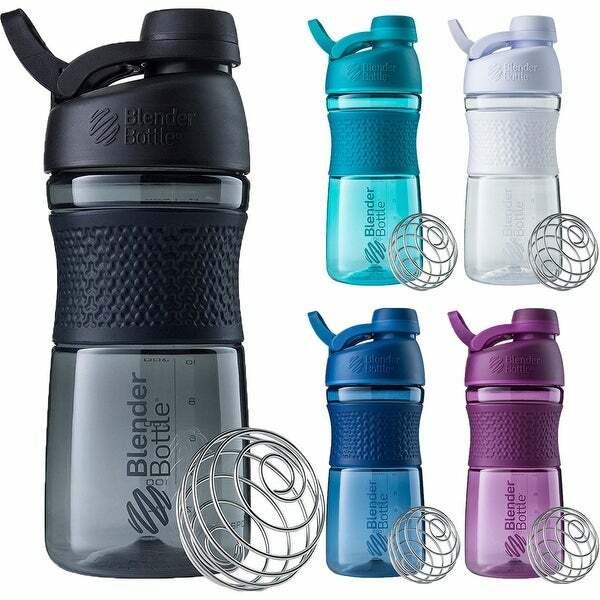 The Blender Bottle SportMixer Twist Cap 20 oz. Tritan Grip Shaker delivers easy versatility in a sleek, streamlined package. This hybrid bottle is a perfect hydration companion, and a premium mixer for your next protein shake. Features include a secure twist-on lid, a foldaway loop for portability without bulk, and a firm, feel-good textured grip. I loved this and it was the perfect size. It was just what we were looking for and it was a great price. I will probably be buying more of these. I also love the color. I love how the lid twists in two ways to keep the liquid in. Blender Bottle Sleek 20 oz. Twist-On Cap Shaker Bottle with Loop Top - Bananas - 20 oz.